Get the maximum cushioned comfort and flexibility for athletic walking with the Skechers GO FLEX Max. 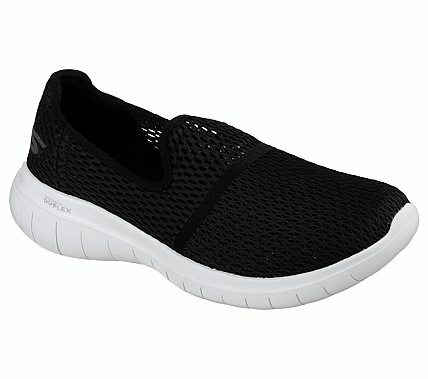 Mesh fabric upper with cushioned, supportive sole design. Designed with Skechers Performance technology and materials specifically for athletic walking. Goga Max® Technology insole with high-rebound cushioning.